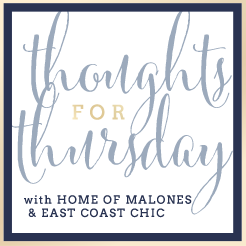 My thoughts on this Thursday are all about our kitchen! Since we first looked at our house (before buying it) we knew we would eventually need to renovate the kitchen. We have talked and talked about it. I honestly had no idea when it would happen and wasn't in a rush. It is completely functional as it is. Well next Monday we start renovations! I am excited and overwhelmed at the same time. For about 3 weeks (probably longer....) we won't have a kitchen at all. No sink, oven, stove, microwave, dishwasher...we do plan to have a fridge, but it will be in our sunroom. And for the first week or so, no AC. (#firstworldproblems) Please bring on fall temps! Any suggestions on what to eat during this time is greatly appreciated. I plan to set up a table in the sunroom with our dried food (no pantry during this time) and paper plates, cups, bowls, plastic silverware, etc. I know we'll be able to grill out some, but won't be able to wash anything so that will limit some thoughts/options I had in mind. I do like to eat out, but I can't do it every day! We won't be able to walk from one side of the house to the other because our kitchen is centrally located and we are taking out lots of walls! So to get to our living room or my office, I will go out our back door walk around to the front of the house and go in the front door. That part I can handle...I think. I'm sure I'll forget things or not be sure where something is or how to get to it! We have to move furniture in our living room, sunroom and dining room. So it will feel like our whole house is under construction. I was so excited to decorate for fall, but I don't think I will until after this is all done. There is just no point! But on to the fun part- picking everything out!!! We hired Beth from Design Post Interiors to help with some decision making. The plans were done, appliances and cabinets picked out. 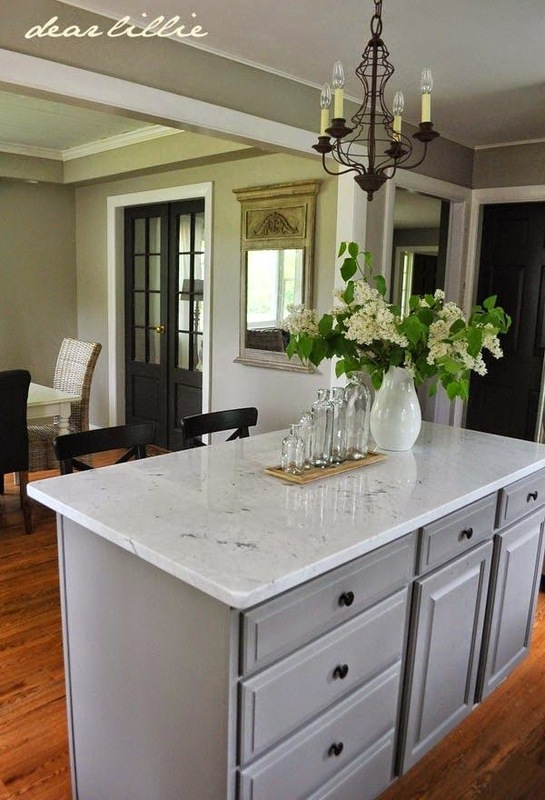 However, I wanted to help with paint colors, knobs, faucets, etc. 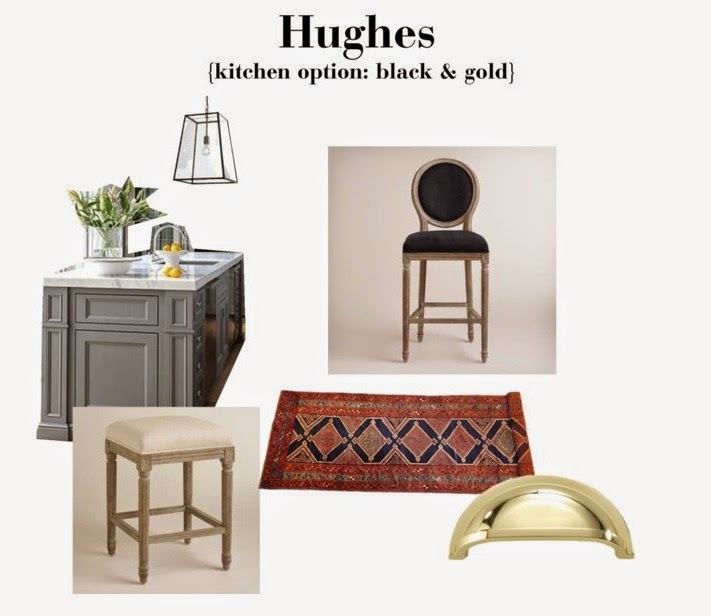 I knew kind of what I wanted- white cabinets, gray island, white counter tops, brass/gold hardware, etc. 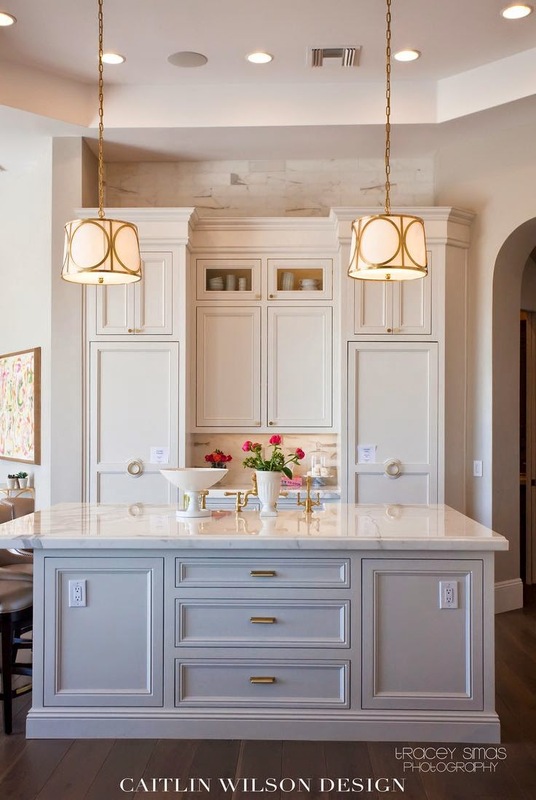 You can see my dream kitchen inspiration board here on Pinterest. I can't wait to see the finished product! Here is one of her idea boards for us, I'll share more later! I'll share before photos next week! ahh its going to be beautiful!! 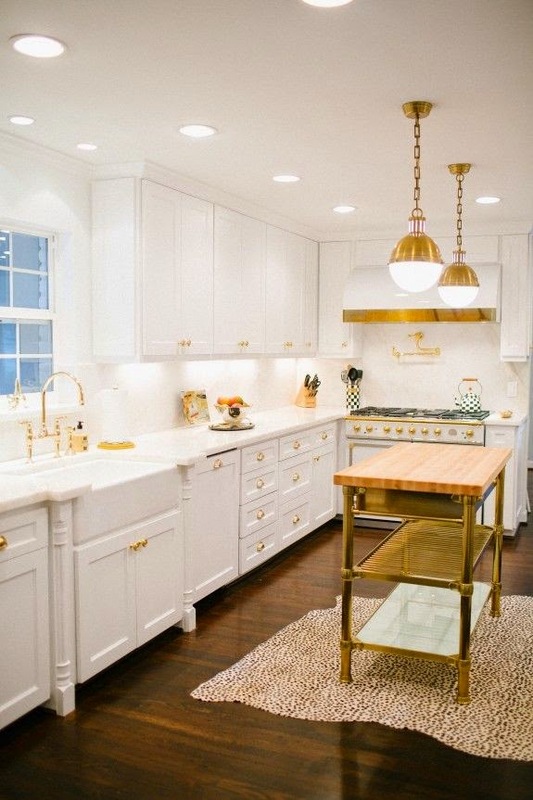 I love all your inspiration photos and have been crushing on the brass knobs for awhile now!! I love the look. Good luck! Yes to all of your inspiration photos!! That first one is pretty amazing! I can't wait to see the end result! Your inspirtation photos are amazing! Stopping by from link up. I am beyond excited about your kitchen! I will be happy to come over for dinner anytime :) Thanks so much for trusting me with your dream...hope I can make it a reality! Such beautiful inspiration photos... I would say use your crockpot a lot... and maybe a panini press (you can them pretty cheap at target). You might also want to invest in a hot plate!